Dealing with water in your basement can be a major problem as it brings with it numerous hazards from milder mold and mildew growth to serious structural deterioration. It is important to note that most of the damage is usually caused by the water you cannot see. This is why at AquaGuard Waterproofing we offer residential and commercial sump pump installations. We have superior sump pump systems specially designed to exclude water from your basement and prevent wetness-related damage that comes as a result. AquaGuard Waterproofing’s sump pump installation makes for a practical solution to basement water issues keeping your basement dry in the long run. Curbing basement flooding after the incident has occurred can only go so far, because while you can easily get rid of the water, it could have done greater damage by the time it’s significant enough to flood. A sump pump installation from AquaGuard Waterproofing can keep away such issues altogether! The pump will collect and pump out water from the basement removing it before it can cause much damage, if any. It is a great enhancement to your goal of permanently dry basements, and can be installed as a standalone solution (useful during emergency water evacuation) or as part of a complete foundation repair and basement waterproofing solution. AquaGuard Waterproofing’s sump pumps can be the only relief protecting you against a flooded basement as well as a lasting solution to your wet basement misery. Our foundation contracting team boasts 50 years’ worth of collective experience in basement waterproofing, all of which we shall throw into the determination of an appropriate solution for you. Thousands of customers in various areas can attest to our exemplary service, owing to our unreserved dedication to offer proper and optimally located sump pump installations. We will help you choose the right pump for your needs from among our high quality sump pumps as well as ensure superior installation. For more information, get in touch with us now at 800-784-9913. 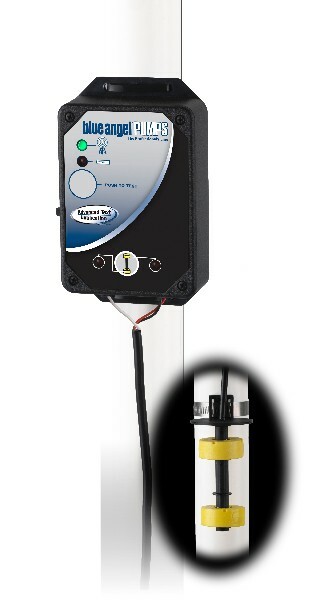 At AquaGuard Waterproofing, we also offer battery backup sump pumps. Such complementary systems may be installed with your main sump pump, so that it will automatically kick in when the pump malfunctions or there is a major blackout where you are. 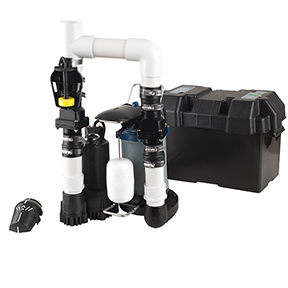 We can even configure your battery-operated sump pump so that it can come on whenever you need it to, ensuring convenient and complete wetness protection. Getting a battery backup sump pump ensures you have an efficient water removal system at all times, allowing your basement to remain dry. Call AquaGuard Waterproofing, your foundation repair and basement water proofing experts now, for further information on the benefits of having a backup sump pump. We’re available at 800-784-9913 twenty-four hours a day every day of the year.